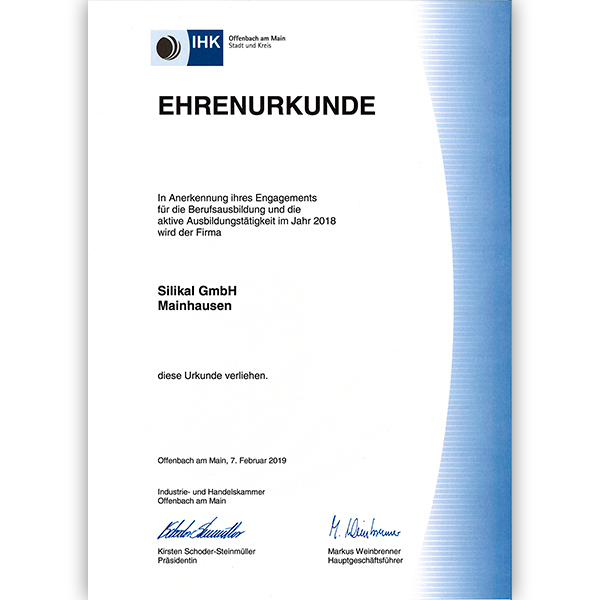 The chamber of industry and commerce of Offenbach am Main officially honours our commitment to the apprenticeship of young people with this certificate. As a education company for warehouse logistics experts and industrial management assistants, we have employed two trainees, each, in these two professions for many years. We are pleased about the honour from the chamber of industry and commerce. However, we are also particularly proud that our apprentices consistently succeed as the best ones in the final examinations, and that many of them have their permanent jobs in our teams.